Twinky Dezines: Bank Holiday Sale! 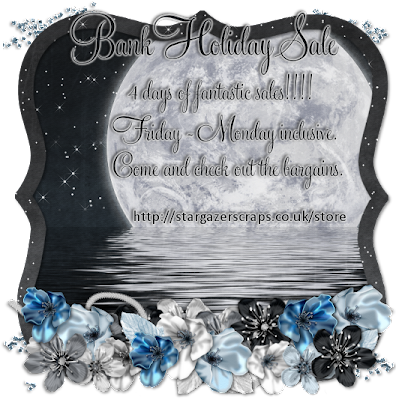 Anyway, as a result, we are having a sale at Stargazers! so run over there and check out the great sales!